a calming effect which makes horses feel at ease. Injuries, inflammations and stress are reduced. 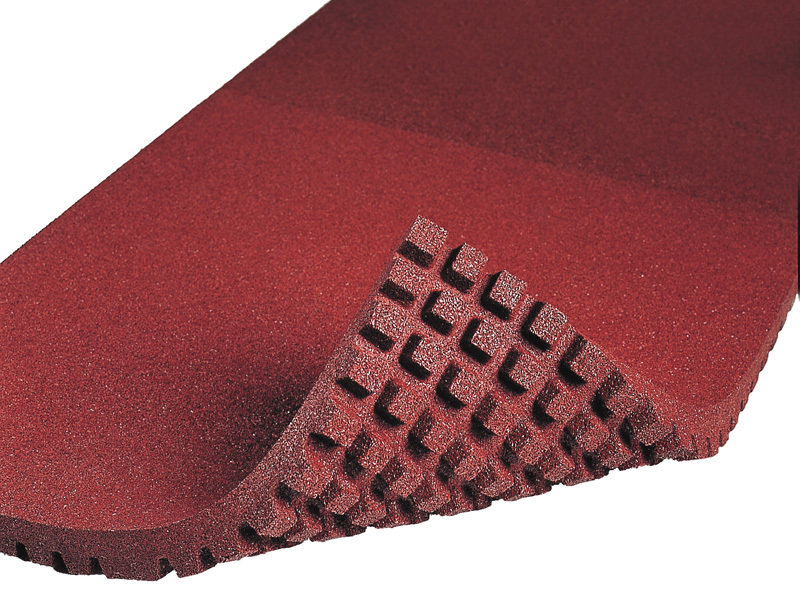 The acoustic insulating properties of floor covering ensures a quiet and tranquil environment. The hooves of unshoed horses will not suffer or exhibit any signs of wear. 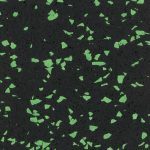 For more than 40 years this floor covering has provided the ideal solution for keeping horses in an economic and clean environment that is suited to their needs. 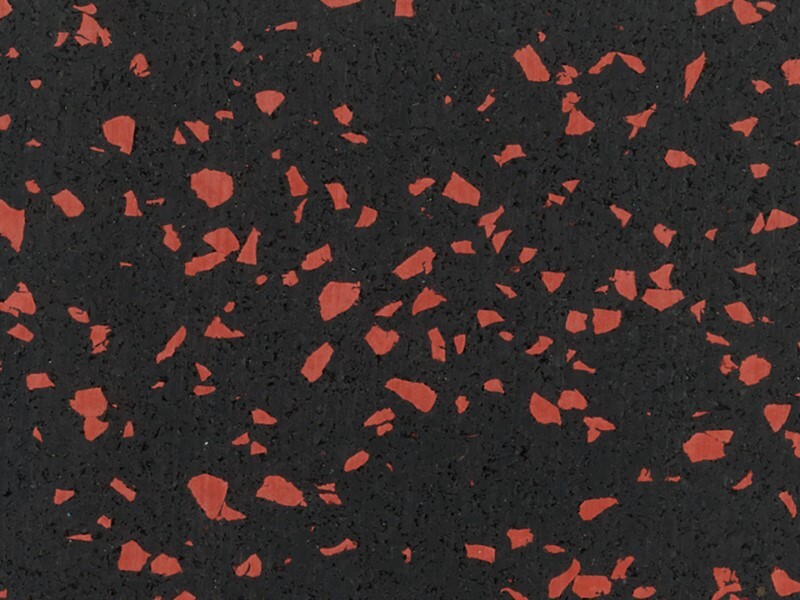 Floor coverings for horse keeping unify numerous properties that many equestrians esteem. 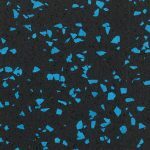 Product horse floorings create a soft, permanently elastic, insulating and skid-proof subbase, thus providing a more peaceful environment. Injuries, inflammations and overloads are reduced. The acoustic and thermal insulating properties of horse floorings ensure a quiet and tranquil environment. The hoofs of unshod horses will not suffer or exhibit any signs of wear. 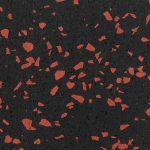 Floor coverings are clean and economic, they are the ideal solution for keeping horses in an environment that is suited to their needs. 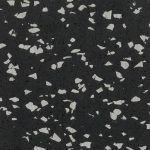 They are suitable for stalls just as well as for outdoor areas because they are weather resistant and durable. They save litter, are water permeable, insulate against cold and are easy to lay. Saves straw and thus reduces the amount of dung. No sealing of the floor. Waterpermeable. Laid in boxes the tiles reduce the amount of straw and dung up to 75%. For horses with breathing illness they can also be used without the use of common bedding. The tiles are easy to clean and require only a basic maintenance by using a pressure washer from time to time. As flooring in boxes, barn corridors, indoor and outdoor wash bays, open and walking stalls, paddocks / exercise areas, parade rings, walking ways. 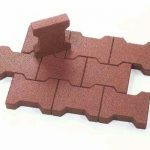 Interlocking pavers are permeable und extremely robust. Even agricultural machines such as tractors can be used on this surface. The walking comfort, easy cleaning and durability are additional benefits. Interlocking pavers can be combined with conventional concrete pavers. 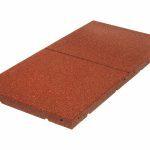 Stable Mat has a profiled underside providing good drainage results. Laid in boxes the permeable mats can reduce the amount of straw and dung up to 75%. For horses with breathing illness they can also be used without common bedding. Easy to clean and require only a basic maintenance by using a pressure washer from time to time. 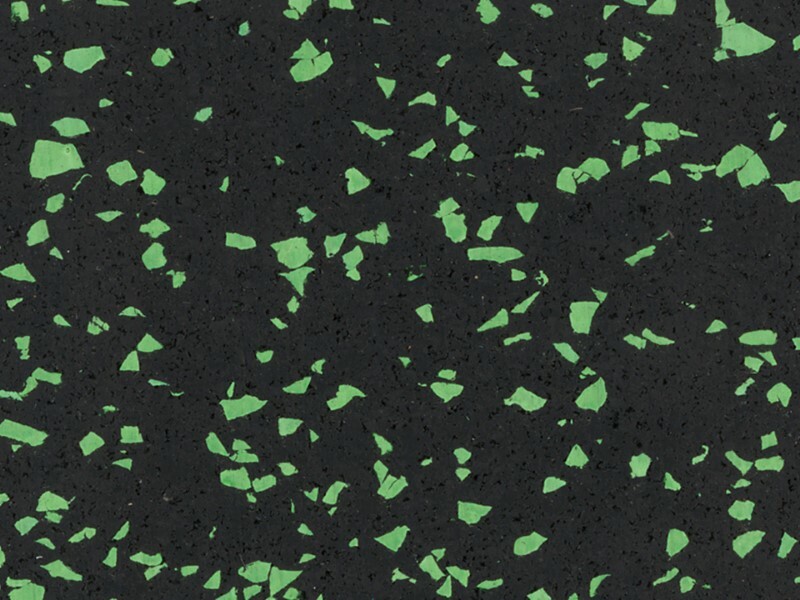 Installation on concrete or asphalt subbases. As flooring in boxes, indoor and outdoor wash bays, open and walking stalls. Horseline is an elastic and skid-proof flooring for equine boxes and barn corridors. This material has been specifically developped for the safe-keeping of animals and offers essential resilience and desirable elasticity. 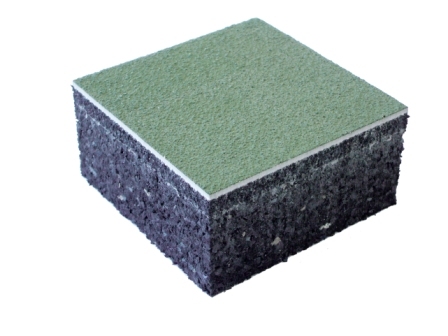 Horseline creates a sound-absorbing and thermal insulating subbase, thus reducing inflammation and overloads. A major advantage of this flooring is the reduction in the amount of straw required, thus providing a sensible, economic solution. Horseline must be bonded to a smooth, flat and dust free subbase. As flooring boxes and barn corridors. from 10/20 m, depending on the thickness. 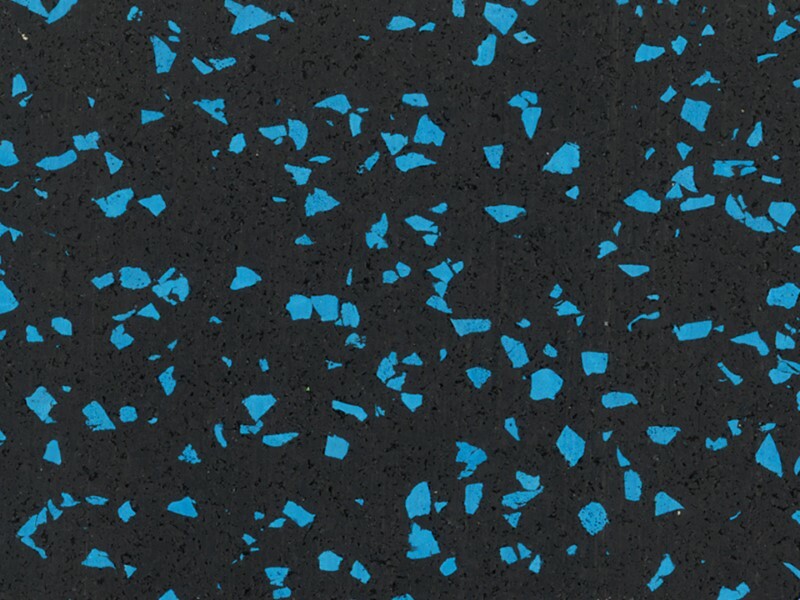 Floorings for veterinary hospitals, operating theatres and recovery rooms have exceptional properties of elasticity and resilience to heavy use. 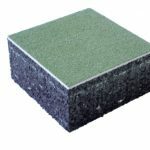 It is made out of a 20-mm-thick rubber base mat and a fibre mesh to which a seamless 2-mm-thick PU coating is applied on site (other thicknesses on request). 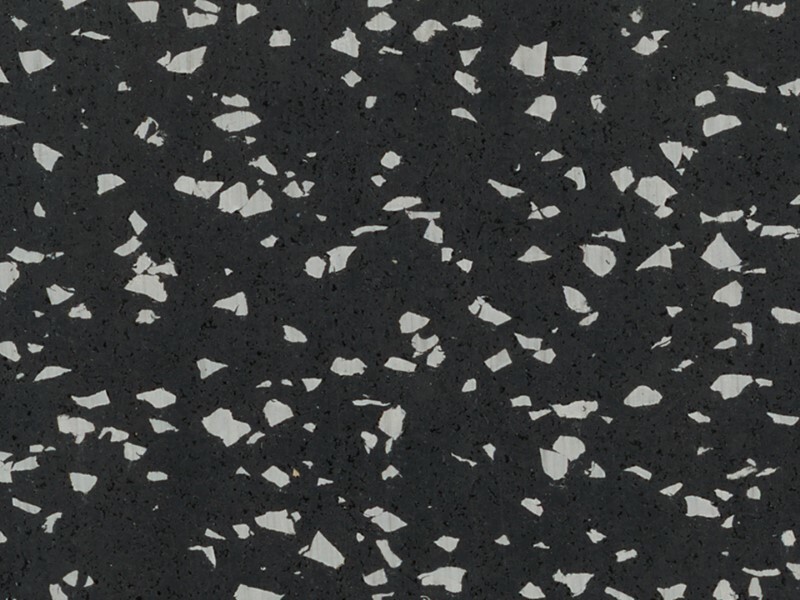 The surface can either be smooth or structured, according to the requirement. 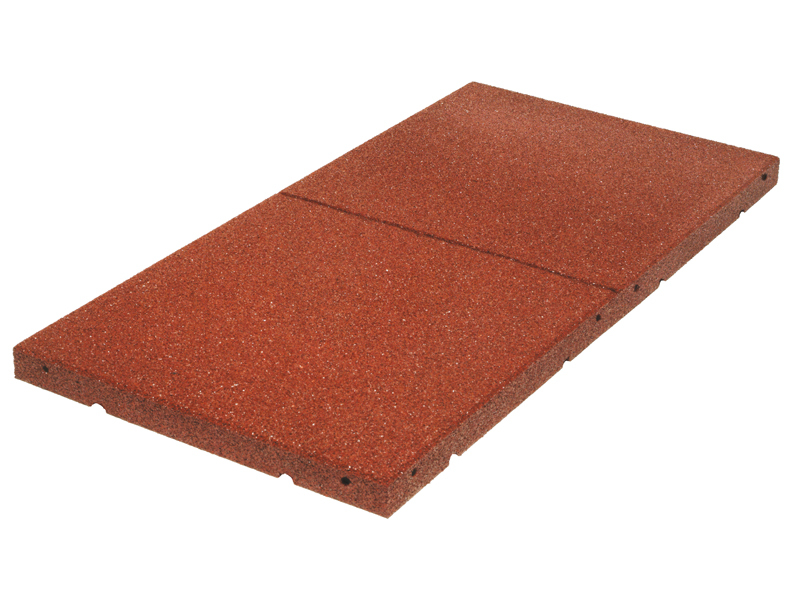 For recovery boxes the flooring is available with a 40-mm-thick soft sub-base and a 10-mm-thick sheet. 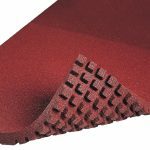 The pore-free surface enables cleaning to be intensive, meeting the hygiene demands.